Facebook is my favorite social networking website and I know it’s yours too that’s why you are reading this post. It lets you express your voice through text messages, emojis and lovely stickers. Most of you like to spend your time texting your friends and relatives like me on your iPhone or Android phone. Facebook allows you to modify your privacy but it doesn’t have a feature to let you know who has blocked you. There are several reasons people block you. But the good thing is that you can still check who has blocked you. 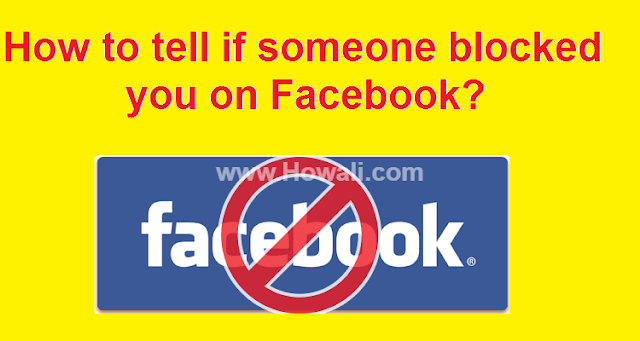 Today I will show you several methods by which you can will come to know if someone has blocked you on Facebook or not. I will be updating this post on a regular basis if there are any new updates. So I would request you to subscribe to my email list. You can also bookmark this post for future reference and share it with your friends too. Mutual friends are the best way to see whether you have been blocked by the user or not. Try to navigate to some common friend’s profile who was a mutual friend to that person you assume has blocked you. Click on Friends list. A search box will appear in the right. Type the name of that person in the search box. If you are not able to find the suspected person in the friend’s list then it is likely that you have been blocked by that person. Check your recent conversations with that person on Facebook. If you find that you are not able to click on his name and it has turned black instead of a blue link, then it is likely that you have been blocked by that person. If you try to send a message to this person, you can’t send it because you will not find the text field, instead you will see a message stating “This person isn’t receiving messages from you right now.” on both website as well as the app of Facebook messenger. You will no longer find the suspected person in your friend's list. But this doesn't mean that your friend has blocked you. There might be chances that they had cancel their account or had been blocked by Facebook. Ask your common friends who were mutual friend to him if they can view their profile. If so, then there is no doubt that you have been blocked by that person. Try to search your friend using the search box in Facebook. Either you won't find them or there may be a possibility that if you find them, you won't be able to visit their profile page. If you can see this message, "Sorry, this content isn't available right now", then your friend has blocked you. If you are not able to post anything on your friend's wall or see the Add Friend button on their profile, then it is possible that your friend has blocked you.But then too it is possible that they may have set their profile that way to prevent posts or friend requests from unknown friends. Log out of your Facebook account, go to www.google.com in a new tab and enter their name + Facebook, for eg. if your friend name is Peter, then type Peter Facebook in the search box. If you were able to find your contact's Facebook profile page in Google search results and you can view their profile, then your friend has blocked you. You may ask your any other Facebook friend who knows your suspected friend which you think has blocked you. If they are able to see the profile of that person, then surely you are blocked by that person. If your friend is not able to access the profile of your suspected friend then most probably your friend has deactivated or delete their Facebook account. So, these are some of the ways by which you can tell if someone has blocked you on Facebook or not. Do comment below and let us know if this article has helped you. Don’t forget to subscribe to my email list for more helpful tips. If you like this post then do give us a +1 and a Facebook like and share this with your friends from the social network buttons below.